Over 9 billion human mouths to feed in 2050. That’s the future we are in for, and even the UN believes insects should be part of the solution. 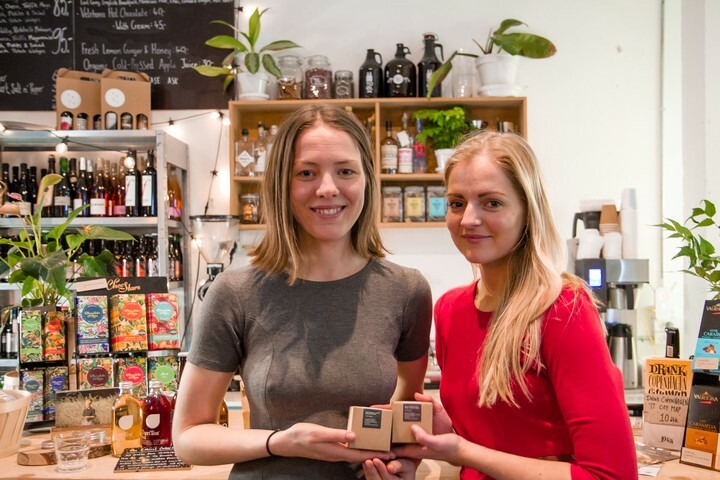 I met with the two young women behind edible-insect start-up Dare to Eat to chat about being female entrepreneurs and fighting against the ‘eww’-factor of eating bugs. A social entrepreneur meets an academic insect-nerd, they share a bottle of wine and a couple of hours later they have laid out the blueprint for an ambitious edible-insect start-up. 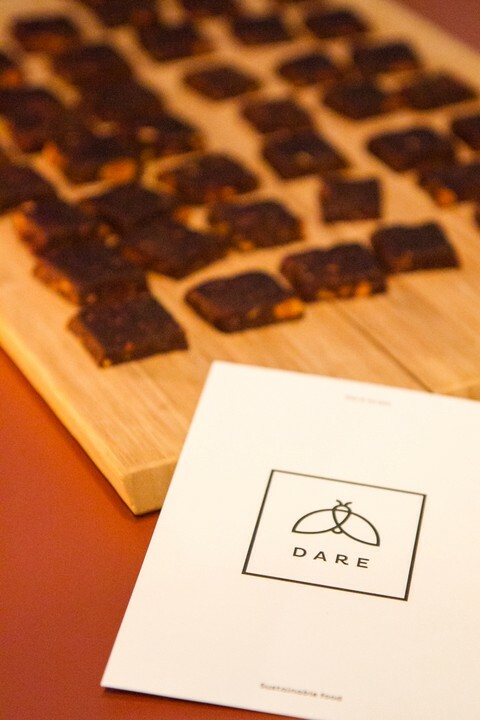 That’s the short yet wonderfully palpable story behind Dare to Eat, a new Copenhagen-based start-up, which plans to teach Danes how to eat insects by selling them crickets and worms camouflaged in savory fruit and nut bars — or Dare Squares as they call them. Last week, founders Jessica Buhl-Nielsen and Malena Sigurgeirsdóttir launched a Kickstarter campaign to raise $15,000 for their project, which will allow them to move into professional kitchens and open their own web shop. I met with the two young women to hear their story, which surprisingly started just last October when they were interns at the same company in Copenhagen. “I served Jessica my special larvae risotto one night, and when she had finished the plate we thought ‘we can do this!’ Insects taste great, we just need to present them in a decent and delicious way,” says Malena, who has been studying entomophagy (the study of eating insects) for years at both Cornell University and the University of Copenhagen before spending a year in East Africa tasting and learning about all kinds of bugs. Putting insects on the dinner table is indeed good for the environment and for future food security. Besides ensuring an alternative source of protein for a growing world population, edible insects, if produced sustainably, have a far smaller environmental footprint than conventional red meat. Crickets, for example, are 12 times more efficient in converting feed to meat than beef, and most of the insects approved for consumption in the Western world emit 100 times less CO2 than cattle. These are just a couple of facts from a 2013 FAO report, which recommends insects as a new global food source. “Entrepreneurship runs in my family. My dad, my uncles and my brother are all entrepreneurs. But when I try to start something, I get the sense that they’re being a bit more protective and judgmental. I sometimes get the feeling of not being taken seriously,” says Malena, who has roots in Iceland and the Faroe Islands. “My advisor was trying to find funding for a Ph.D.-program, which he wanted me to apply for. But funding was denied as they couldn’t afford if they had to pay for maternity leave. So they changed it to a two-year postdoc,” Malena explains. We might not be ready to munch on whole grasshoppers yet, but the future is promising for insect entrepreneurs such as Jessica and Malena. Innovation Fund Denmark has just posted around $2,7M in an insect project, which seeks to turn Denmark into “a pioneer in sustainable industrial production of insects for feed and food”. Moreover, the EU seems poised to approve insects in aqua feed, which must be a sign of a milder attitude towards insect production within the EU. Finally, Sustainia has identified a number of edible insect solutions ripe for upscaling, such as MagMeal and Six Foods’ Crispy Crickets. 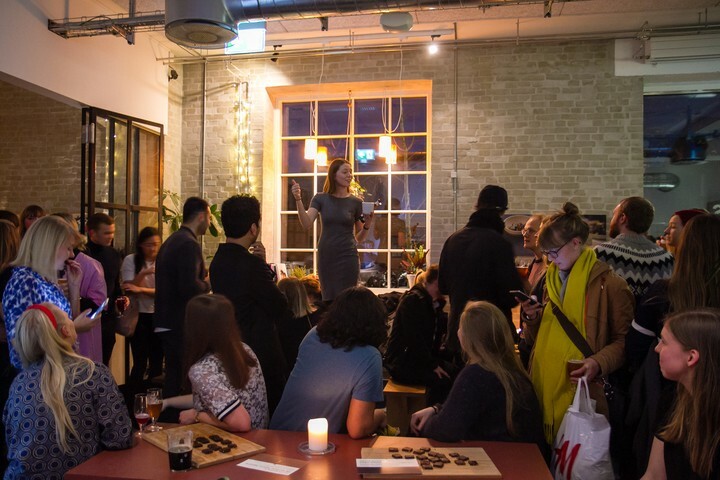 “This is really blossoming everywhere in Copenhagen, so I think every Dane is going to know about edible insects and their benefits soon enough. I think snack products, the way we are introducing insects, are going to become more popular,” says Malena, who also envisions eateries selling insect-falafels. But they both agree that change needs to come from the top. The recent video with Angelina Jolie eating scorpions with her kids are the kind of insect-endorsements that can really make a change. “We have tried writing her an e-mail, but she hasn’t responded,” Jessica grins. “She has no direct e-mail, unfortunately,” Malena adds. With more than 75% of the funding already covered on Dare to Eat’s Kickstarter, Jessica and Malena don’t seem to need Angelina Jolie’s help to reach their goal and take their insect dream to the next level. You can find more inspiring female entrepreneurs and solutions on solutions.sustainia.me. Remember to #BeBoldForChange on International Women’s Day — and any other day. Sustainia is shaping a new narrative of optimism and hope for a sustainable future by identifying readily available sustainability solutions across the world.